Ten-man Celtic had a night to forget as they were swept aside by an impressive RB Salzburg side in the Europa League, losing 3-1 on Thursday. They started well in the Group B clash, though, and went ahead inside two minutes thanks to Odsonne Edouard. But from then on, it was all Salzburg and they got their equaliser in the 55th minute as Moanes Dabour scored his first of the evening. Takumi Minamino added the second six minutes later before Celtic were reduced to 10 men in the 72nd minute as James Forrest was shown a straight red card for a foul on Andreas Ulmer in the box. Dabour scored his second of the evening from the resulting penalty. Salzburg: Walke (6), Ulmer (7), Pongracic (7), Ramalho (6), Lainer (7), Schlager (7), Samassekou (7), Haidara (6), Wolf (7), Dabour (8), Minamino (7). Subs used: Junuzovic (6), Gulbrandsen (4), Yabo (5). 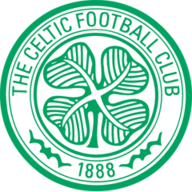 Celtic: Gordon (6), Lustig (5), Boyata (6), Hendry (6), Mulumbu (6), Forrest (4), Ntcham (5), McGregor (5), Tierney (5), Griffiths (4), Edouard (6). Subs used: Sinclair (3), Christie (3), Morgan (3). Man of the match: Moanes Dabour. It puts Group B favourites Salzburg top of the table with six points, while Celtic drop to third behind RB Leipzig - who also beat Rosenburg 3-1 in the group's other fixture - on goal difference. Celtic raced into the lead in the second minute as Callum McGregor fired a ball over the top which found the feet of Edouard. He beat his defender Ramalho before slotting the ball through the legs of Marin Pongracic on an angle and past goalkeeper Alexander Walke, who was off his line at the near post. But Salzburg dominated the remainder of the half with plenty of chances to equalise. Minamino was the culprit of some poor finishing, twice putting a free header over the crossbar, but his best chance came in the 32nd minute. Stefan Lainer fired another wonderful cross into the box from the right flank, but Minamino could not get to it in time to poke home as the ball ran past his outstretched foot. Celtic made just one change with the injured Scott Brown replaced by Youssouf Mulumbu. Celtic had the ball in the net with a minute of the first half to play, but the goal was ruled out for offside. Edouard burst into the box before his cutback found Forrest, whose own shot was well saved by Walke. But the rebound fell to Edouard who slotted home from inside the six-yard box, but the linesman had his flag raised. Salzburg deservedly got their goal 10 minutes after the restart. Minamino nodded a cross towards the left flank, allowing Hannes Wolf to cut the ball back for the incoming Dabour. He then hit home on the angle, and although Craig Gordon got fingertips to it, he could not keep the powerful effort out. Six minutes later, the hosts were ahead and Minamino finally found the back of the net. Captain Andreas Ulmer fired a ball across the face of goal which landed at the feet of the Japanese forward and despite Jack Hendry's best efforts, he could not keep him at bay as Minamino poked home. Things got worse for Celtic in the 72nd minute when Forrest was given his marching orders after getting his body around Ulmer's during a challenge and pulling him down in the area. Referee Sergiy Boyko showed him an instant red and pointed to the spot, with Dabour stepping up to net his second of the evening, sweeping home down the middle. Celtic have never won an away European match in Austria (P6 W0 D2 L4), conceding at least twice in each match. 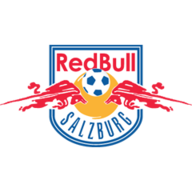 Red Bull Salzburg are unbeaten in each of their last 11 Europa League group stage games (W7 D4). Celtic have never won an away Europa League match in 15 attempts (D8 L7). Before the game, Dabour was singled out as the dangerman for a free-scoring Salzburg, and he did not disappoint on the European stage. It was his 50th appearance in a European Cup on Thursday and he capped it off with two goals along with plenty of superb attacking play. He continually provided Minamino with passes in the first half - although the finishing left a little to be desired - and the two could become a real force in the competition in the coming months. Salzburg will next be in action on Sunday when they travel to SK Sturm Graz in the Austrian Football Bundesliga. Celtic will also be on the road this weekend when they face St Johnstone in the Scottish Premiership.